Imagine a drug that protects your body from radiation damage. That would be a true wonder drug! It would completely revolutionize the use of radiation therapy for cancer. But since we’re just imagining, let’s go all the way. Let’s say the drug is inexpensive and easy to take (you don’t have to inject it, or anything like that). And best of all, there are no adverse side effects. None. In fact, when you take this drug, it actually provides additional health benefits. Ridiculous, isn’t it? It’s inconceivable. But that’s exactly what University of Pennsylvania researchers have come up with. Only it’s not a drug. It’s a food. Before I tell you about the U. Penn research, let me tell you why it matters so much. And I’ll start by asking you to imagine one more thing: A savings account from hell. Here’s what makes it hellish: You can only make deposits, no withdrawals, and you DON’T want your balance to go up. I’m not talking about banking, of course. This “savings” is radiation, not money. Most of us experience mild radiation exposures throughout our lives. You get occasional dental x-rays. Maybe a chest x-ray here and there. Certain types of security scanners use x-rays. You even pick up a little radiation when you fly by jet. Each of those exposures poses little risk individually. But several years ago, scientists reported that the effect of repeated exposure is cumulative. So years of mild exposures can add up to considerable risk – especially for those who receive much more dangerous exposures through radiation therapy or, as we’ve seen recently in Japan, nuclear power accidents. The good news: U. Penn researchers now believe there’s a way you can actually make withdrawals from your radiation savings account. Most of us have heard of flaxseed — and a lot of us have tried it. But now we’re learning that its most dramatic benefit might be something we never even thought about. When the U. Penn team gave flaxseed to mice (some got it before radiation exposure and some after exposure), twice as many of the mice survived compared to healthy mice that didn’t get flaxseed. But the results went way beyond mere survival. Most importantly, all these benefits occurred even in mice that were given flaxseed AFTER radiation exposure. Researchers typically caution that results of an animal study are too preliminary to begin using a promising alternative treatment. 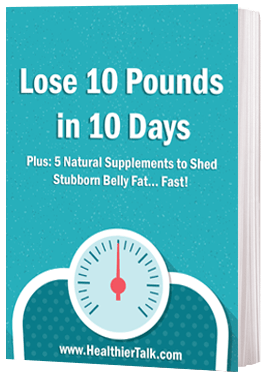 But in this case the authors say that they’ve actually incorporated flaxseed into their own diets. And why not? 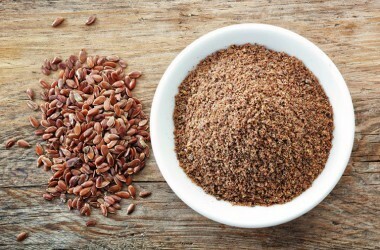 Flaxseed has no adverse side effects, but it’s loaded with omega-3 fatty acids and antioxidant- rich lignans. The U. Penn team has already started a flaxseed trial on cancer patients treated with radiation therapy. Needless to say, I’m going to follow that one closely. I don’t think we can overstate the positive effects it might have on cancer patients’ quality of life. Trudy – flaxseeds contain lignans which, like isoflavones in soy, have weak estrogenic activity. Flax doesn’t necessarily “block” estrogen receptors for the estrogen that we naturally produce, but may prevent the uptake of environmental estrogens. This is why it’s said that lignans may help prevent cancer. But it is a double-edged sword. Flax, particularly in the oil form where the lignans are concentrated, can have pretty significant estrogenic activity for some folks, and should be avoided. The ground up seeds (yes, they should be ground) don’t necessarily have the estrogenic side effects as the oil. And adding ground flax seeds to your diet most likely won’t block your estrogen receptors. 1) Doesn’t Flaxseed block estrogen receptors? We need our remaining estrogen! 2) Saying “eat flaxseed” isn’t enough. I hear whole flaxseed must be ground up for absorption. Keeps well whole but goes bad fast ground up, and baking or freezing kill its enzymes & inositol. A: Grind only one serving, sprinkle it raw on cooked food. Do the folks in Japan know about this flax seed study? If not, why not? Raw flax seed is illegal in Japan that’s why. You have to grow it, or get it roasted only. They do have access to chia though. I know this because I am a raw food chef and one of my customers told me they can’t get raw flax seed in Japan. It probably has something to do with safety of raw nuts and seeds, like in the USA all almonds are blanched or roasted now and you cannot sell raw almonds produced in the USA to customers. Some 15 years ago, my late grandaunt in her 80’s took grounded/pulverized flaxseeds as a supplement… her balding scalp had a new growth of soft black hair… but that did not work for me.